Newington Electric Co. is one of the most recognized electrical contractors in the State of Conn. offering statewide service. Newington Electric specializes in commercial & industrial service and repairs as well as new construction and design build projects. 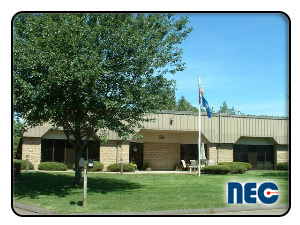 Newington Electric was started by Richard Ingalls in 1958, and is now owned and operated by his son, Edward Ingalls. Many things have changed throughout our History, but one thing that has always remained constant is our commitment to only the highest quality service in the industry. Newington Electric offers commercial – industial and residential electrical service divisions, as well as new construction and design build department. We also have a commercial – industrial and residential generator division. Newington Electric has a professional staff ready to serve you 24 hours a day, 7 days a week, with around the clock telephone coverage and dispatching.